Home / How to Unlock ZTE Z289L 4G WiFi Hotspot Router? 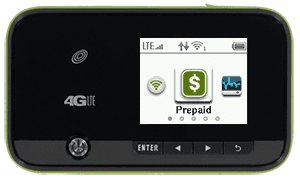 / How to Unlock ZTE Z289L 4G WiFi Hotspot Router? by Sunil Jadhavar on March 03, 2017 in How to Unlock ZTE Z289L 4G WiFi Hotspot Router? The ZTE Z289L comes with a color screen external display and supports data functionality. It has 3000 mAh battery that supports browsing time for one client connected up to 13 hours. It is compatible with Internet Explorer (7.0 or later), Firefox (15.0 or later), Opera (10.0 or later), Safari (4.0 or later), and Google Chrome (10.0 or later). The ZTE Z289L measures 3.87” x 2.26” x 0.76” and weight is 4.13 oz. It has 128MB ROM + 256MB RAM. It features LTE-FDD: Band 4/17/2/5 UMTS: AWS/850/1900MHz. How to Unlock ZTE Z289L with NCK Code? Switch Off the ZTE Z289L. It will automatically open the default web page of the ZTE Z289L, if not then open My Computer >> Virtual CD-ROM and install in your PC. Now you can start using your ZTE Z289L with any carrier SIM card. Tags # How to Unlock ZTE Z289L 4G WiFi Hotspot Router? Labels: How to Unlock ZTE Z289L 4G WiFi Hotspot Router?